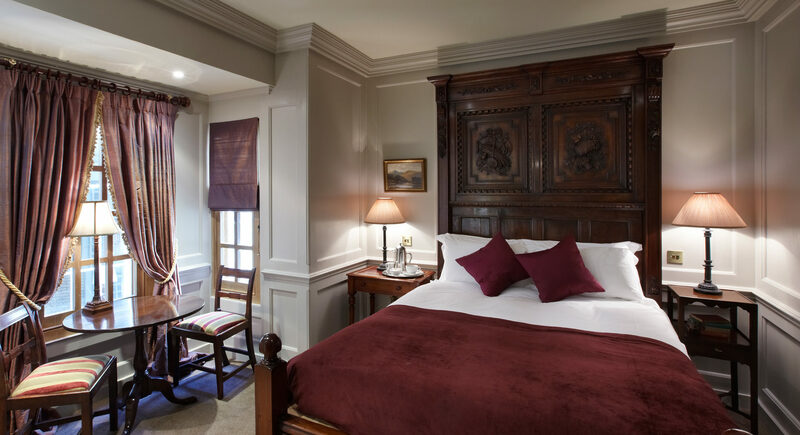 Relaxing in your Club Double room you will find yourself transported back in time, surrounded by mellow antique furniture, fine pictures and rich fabrics. The bed is either 17th Century carved oak or a Georgian four poster. Bathrooms have restored Vintage fittings, with either a free standing bath or shower. All rooms are air-conditioned and have complimentary Wi-Fi, flat screen television, mini bar, safe and REN toiletries. “ It’s called Hazlitt’s because it was the home of the essayist.